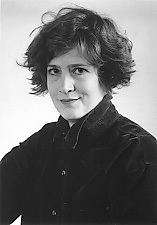 April Bernard is an author and teacher from Bennington, VT, where she teaches at Bennington College. She is the author of three poetry collections: Swan Electric, Psalms, and Blackbird Bye Bye, and one novel, Pirate Jenny. Her work has appeared in The New Yorker, The Boston Review, Agni, Ploughshares, Parnassus, and The New York Review of Books and is included in The Penguin Book of the Sonnet: 500 Years of a Classic Tradition in English and By Herself: Women Reclaim Poetry. She is also the recipient of a Guggenheim Award.